It was here, at around 10:30 on December 21, 1989, that the Nicolae Ceausescu regime began to crumble. A large crowd of well over 100,000 which had been brought in to dutifully cheer Ceausescu in the time-honoured way in fact jeered him - on live television. The dictator's face when he realises he is being booed is astonishing, and has been called his ‘Dorothy Moment’ in reference to the scene at the end of The Wizard of Oz when the facade of a great, mysterious power is torn down to reveal nothing more than a frail old man. A white marble triangle, with the inscription Glorie martirilor nostri (Glory to our martyrs) points (slightly inaccurately) to the low balcony above the entrance of the former Central Committee building (today the Interior Ministry) from where Ceausescu held this last public speech. He fled - by helicopter - from the roof of the building late the next morning. It is today difficult to imagine all that went on the not so distant past, as the area is rather quiet. The ugly and ill-fitting monument to the revolution (officially called the Monument of Rebirth) stands in the middle of the square, and is unkindly referred to by locals as 'the olive on a cocktail stick.' A far better memorial to those killed is the wall of remembrance, on which the names of the 1058 victims of the revolution are engraved. The memorial ensemble also includes a bronze, seated statue of Iuliu Maniu, a former liberal Romanian prime minister imprisoned by the communists in 1947 who died in the most appalling conditions at the notorious Sighet prison in 1953. 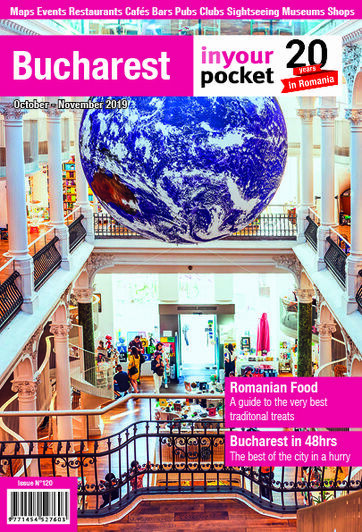 Piata Revolutiei is also home to the Atheneum (perhaps Bucharest's finest building), the National Art Museum, the Cretulescu Church and the Athenee Palace Hilton hotel. 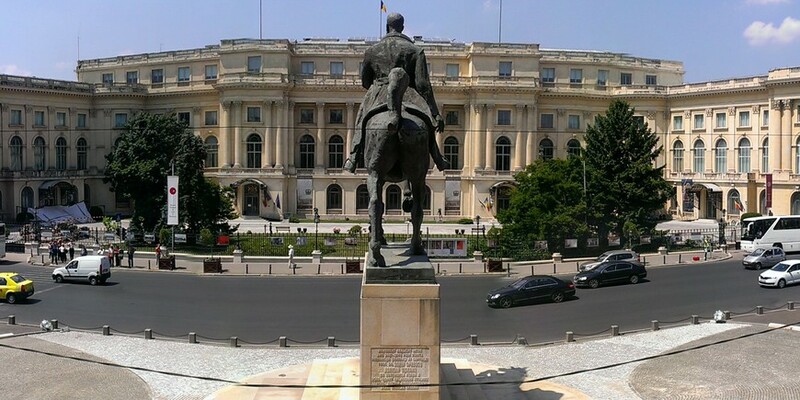 A statue of Carol I (Romania's first king) stands in front of the National Library. There's more about the square in our extensive feature on Calea Victoriei.